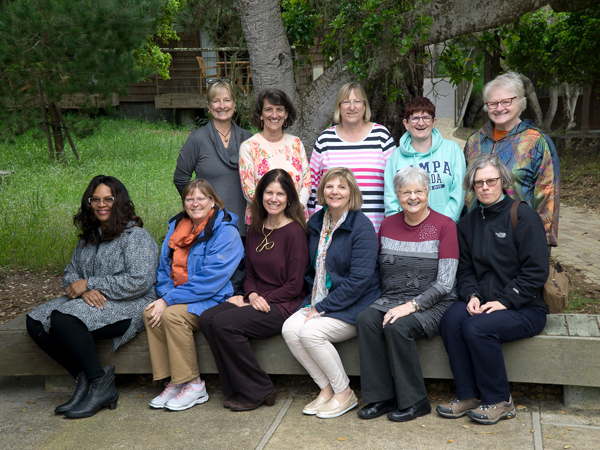 Jane had another fabulous sewing retreat at the Asilomar Conference grounds on the ocean in Monterey Bay. 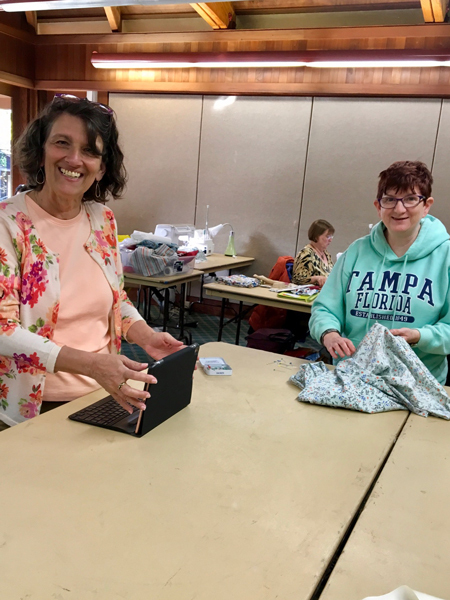 Everyone had fun sewing in this relaxing atmosphere, and still found time to enjoy the surroundings by going to the beach, walking, biking, or shopping. 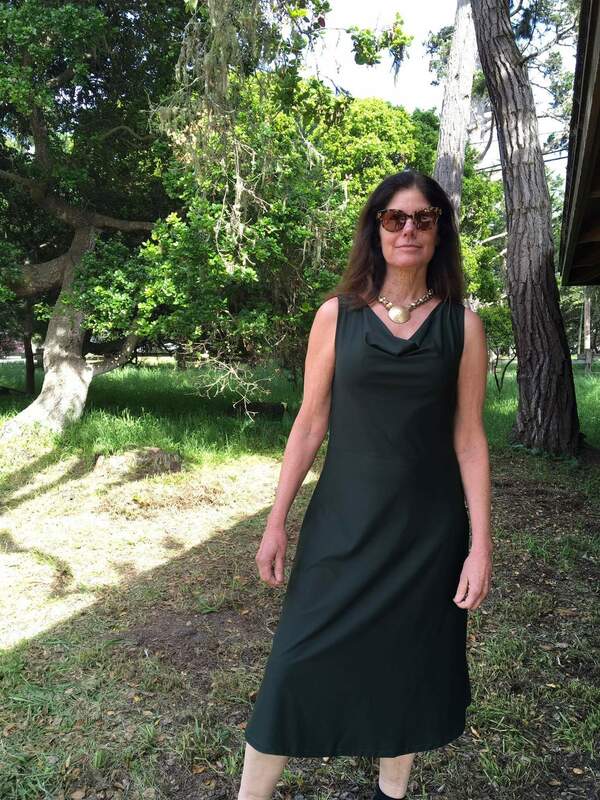 Janice used an OOP Donna Koran Vogue V1351 pattern for her dress. 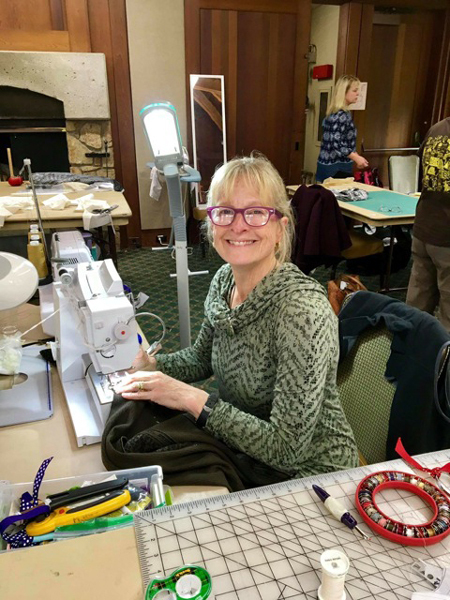 Janice tried to make a garment each day of the sewing workshop. 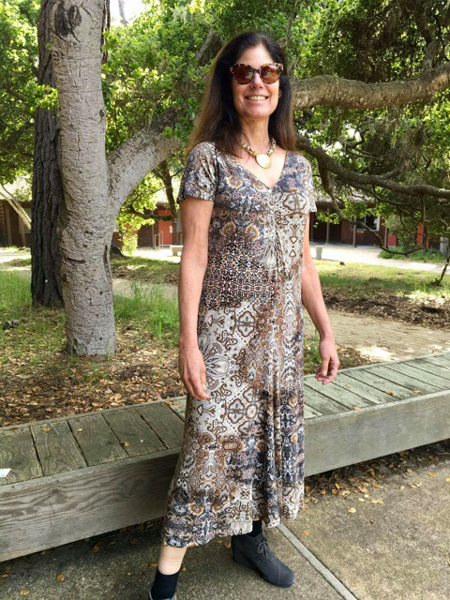 Janice used McCall's pattern M6845. Janice is making a Chanel style jacket with this gorgeous fabric she found on a trip to New York with Jane. 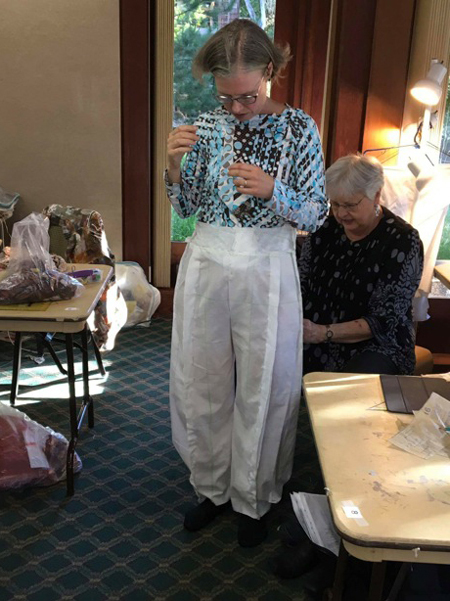 Jasna made 3 or 4 muslins for pants that fit her to perfection. She is now all set to make a new collection of pants. Jasna has finished a beautiful sweater wth raglan sleeves. She used a Marfy pattern from Italy. 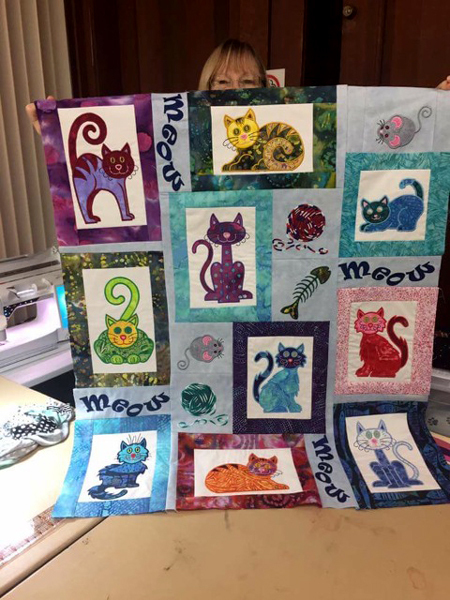 The cat quilt JoAnn embroidered is so fun!! 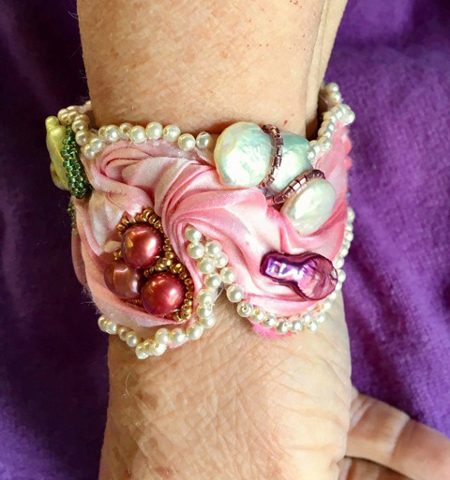 JoAnn's bracelet has an amazing collection of pearls and beads. 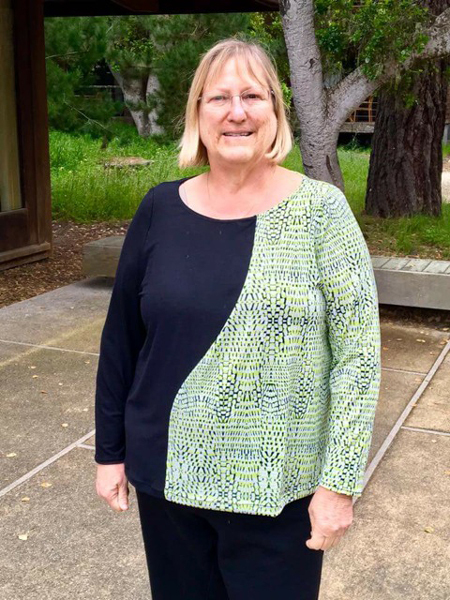 JoAnn finished two tees in combination knits. 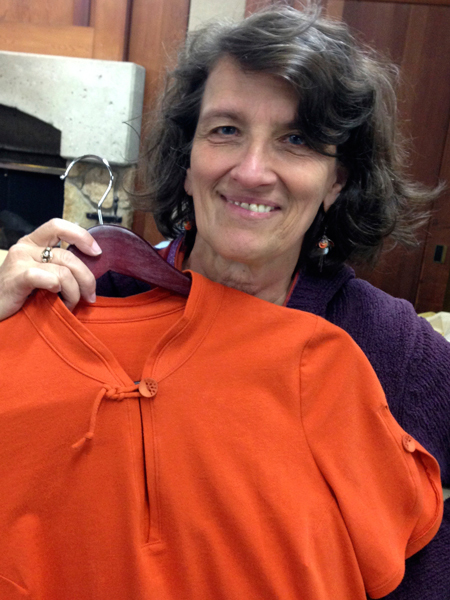 She learned a new finish for the necklines using lingerie elastic which gives a nice flexible yet firm neck edge. This top is Vogue 9175. 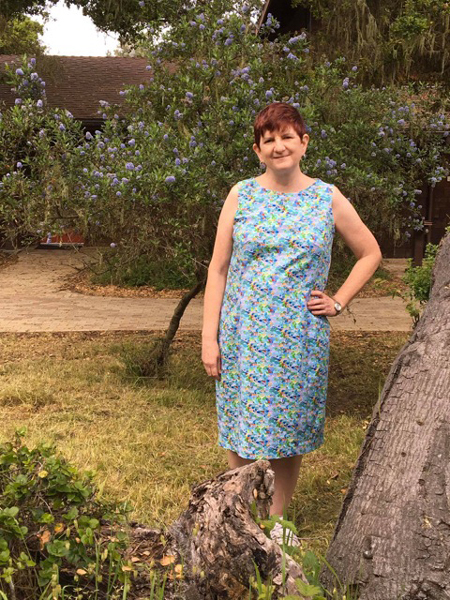 The pattern JoAnn used was Katherine Tilton's Butterick B6218. 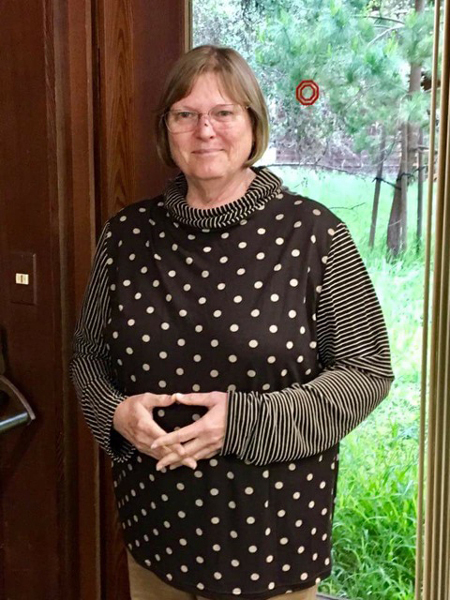 Diana purchased this brown dot and stripe fabric from Marcy Tilton. 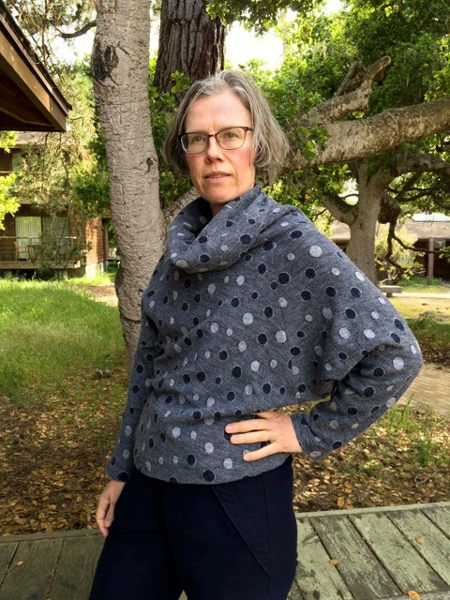 The pattern is McCall's M6796. 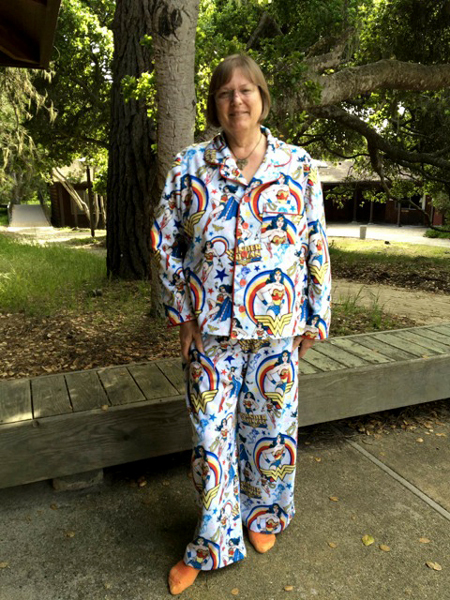 Diana made amazing Wonder Woman flannel pj's! She had never piped edges before so this was a good learning session. 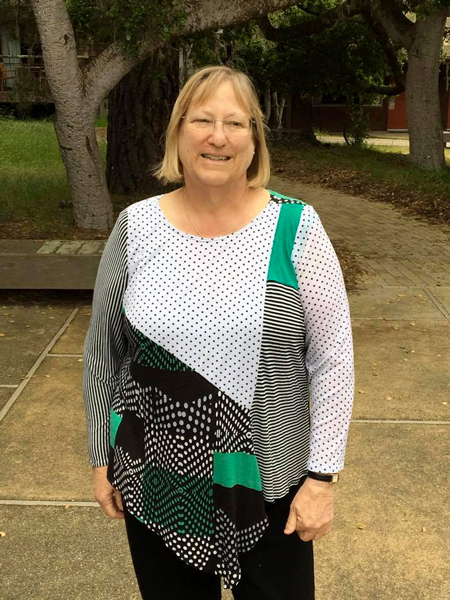 The pattern was McCall's M6659. 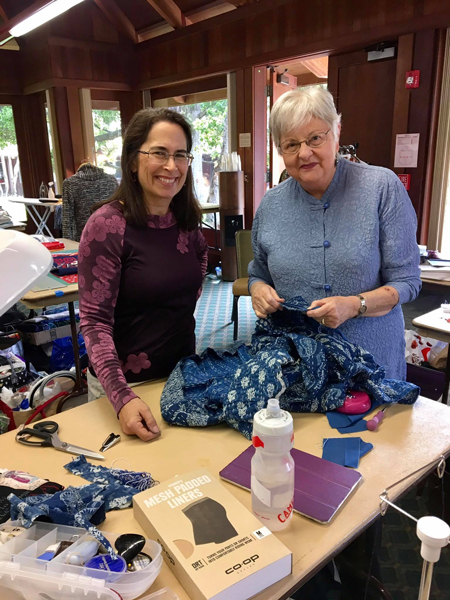 Maria is working on a pair of stretch pants. 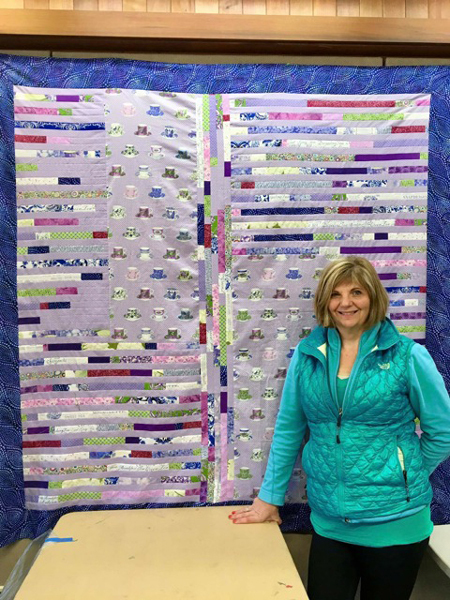 Ellen worked on a baby quilt, and always enjoys the sewing vacations. 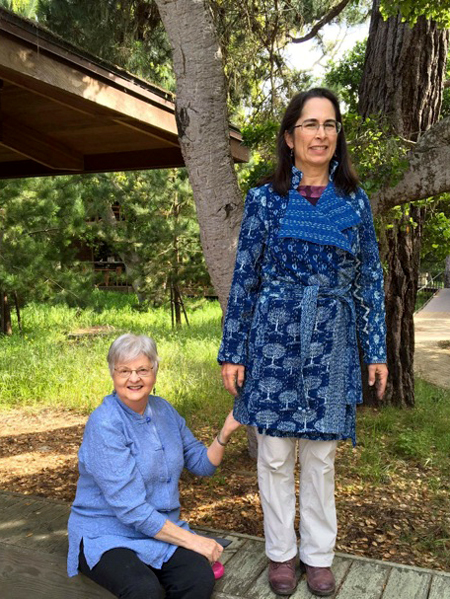 Jane is adjusting the hem on Sally's Kantha coat. She used the StyleArc Stella Coat. There is always something to learn from Jane. 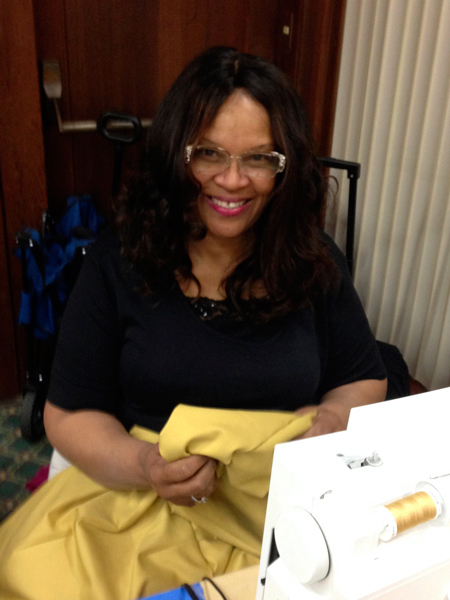 Susie worked on a dress to wear to her sorority event. Vicki and Vicki enjoying the moment. Vicki's detail on this tee shirt is quite wonderful. She used an OOP New Look Misses Knit Tops 6405 pattern. 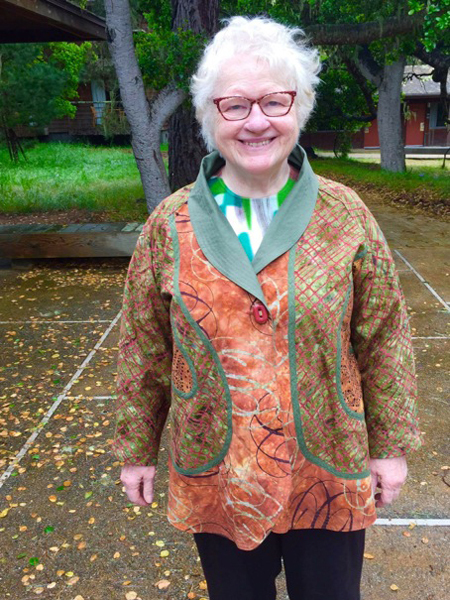 Vicki used Marcy Tilton's Vogue jacket pattern V8676 as the canvas for her design elements . 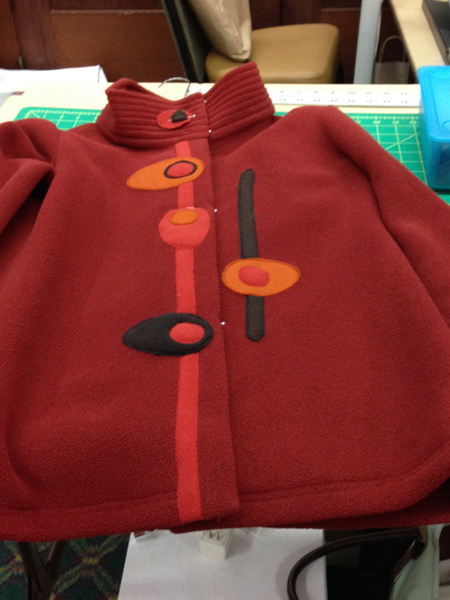 Check back to see the finished garment. 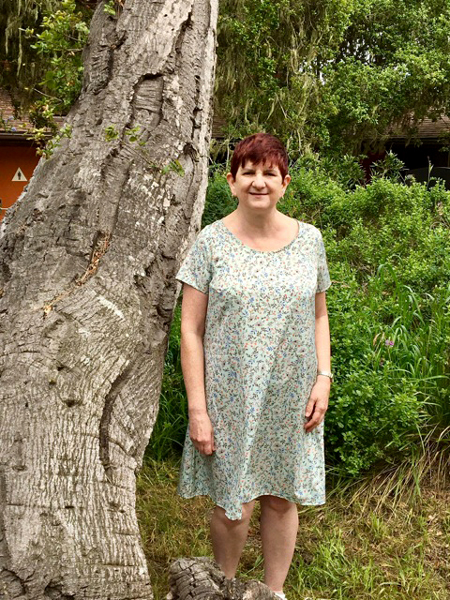 Vicki selected New Look 6209 for her summer dress. 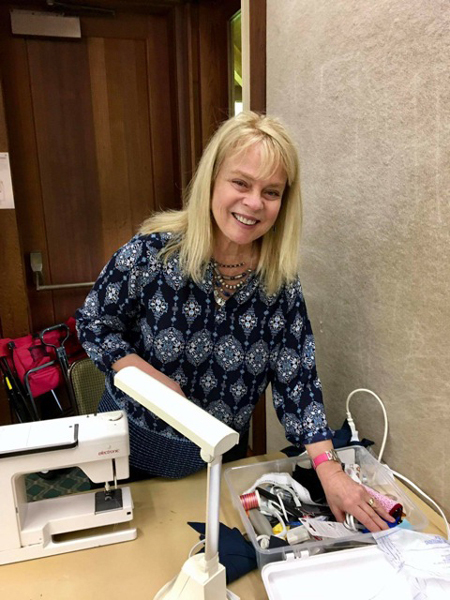 Barbara had lots of fun with her 790 BERNINA sewing machine while at the Asilomar retreat this year. 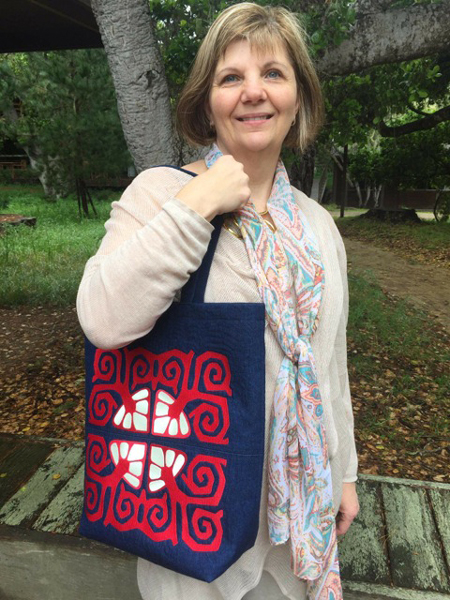 The designs on the tote bag are beautifully stitched out and more free form stitching has been added for texture. 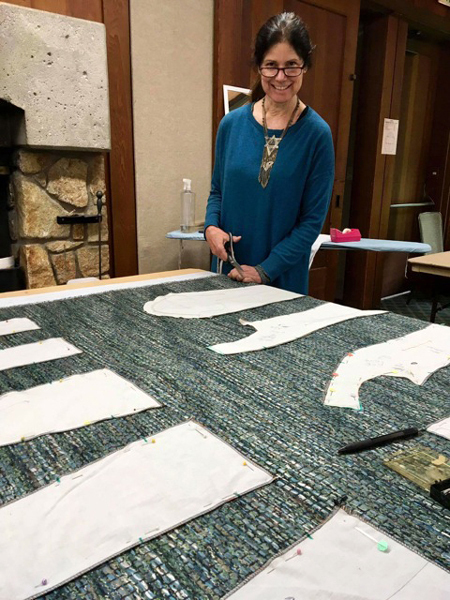 Barbara came to the retreat with some of the strips cut out, and left with the quilt top finished. 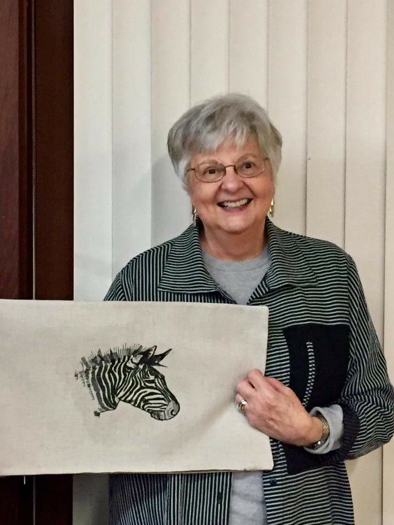 Barbara was so kind and embroidered me a zebra pillow ! 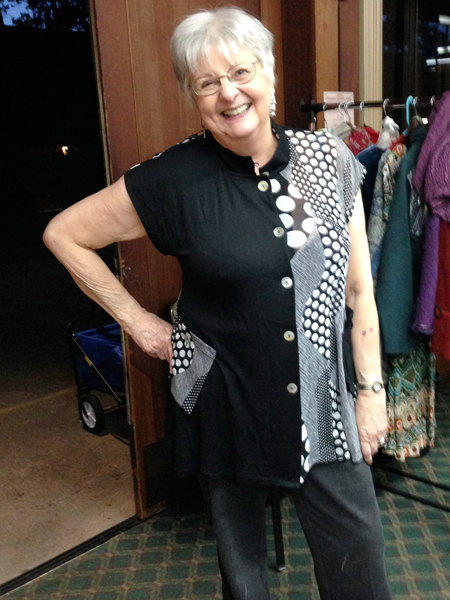 Sharon is happy she finshed her jacket using Vogue 1277 designed by Koos van den Akker. Jane removed some of the fullness in the pattern and adjusted the neck. Of course everyone has to go shopping at Marita's . 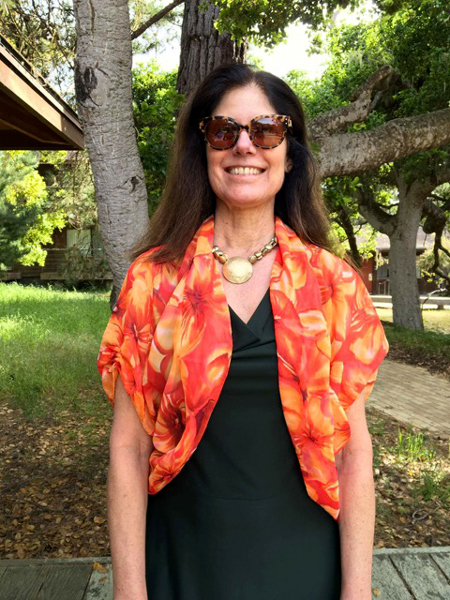 Jane found a new top that is great for travel. 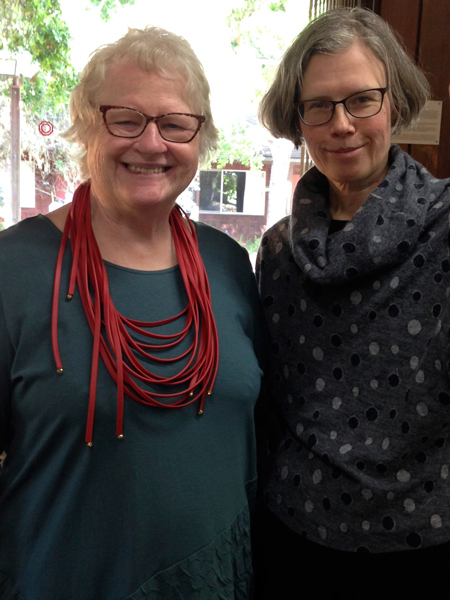 Sharon found a new necklace, Jasna found shoes, and everyone else found one (or more) things they just had to have.